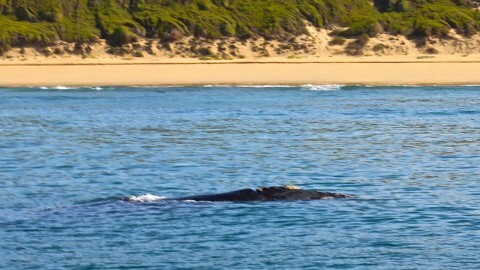 The Whale watching trip was great, we went out with the Romanza boat in Mossel Bay, sailing towards Kleinbrak. The ocean was calm, the perfect Hartenbos/Mossel Bay weather. A perfect day for Whale watching with our Mossel Bay Gild friends and was I glad the ocean was flat to prevent seasickness. It was an excellent tour with friendly staff that had answers for all our questions. I was so nervous my first time at sea but I felt safe. It was amazing, the Whales came close to the boat but the only downside was not being able to look at the Whales more closely, but that was because of the law. In addition, we saw some seals, birds and we were lucky enough to see sharks at the shark cadge diving boat while passing. We were unfortunate not to see any dolphins. The outing was an amazing experience and will do another Whale watching trip in a heartbeat. It was one awesome day, a once in a lifetime opportunity! I definitely recommend this to anyone who visits our beautiful coastal town.